Added single player campaign mode. 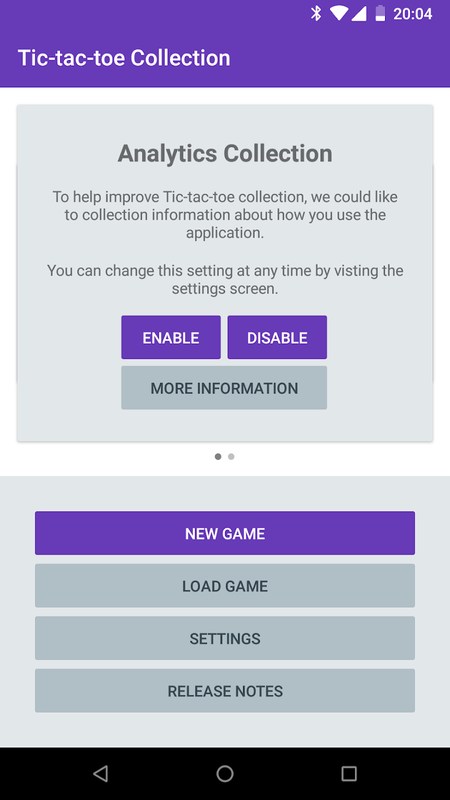 Renamed the previous game option to “Custom game”. Reworked the home screen “news” element to be more flexible - added campaign to it. Game selection now use the in-game renderer instead of static images. About and Settings have been moved to the toolbar on the home screen. In-game overlay now uses a help a icon. Just some minor startup improvements. Improved actual startup time by making some things run in parallel that were previously serial. Improved apparent startup time by transitioning from the splash screen to a loading screen sooner. 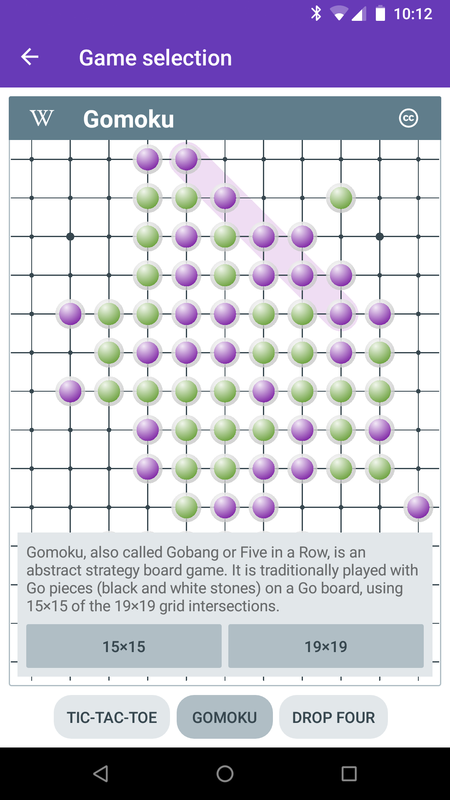 New animations for playing pieces for Drop Four and Gomoku. Scrubbing backwards through history now animated. New piece option: filled triangle. Saved games no longer use pre-generated images. 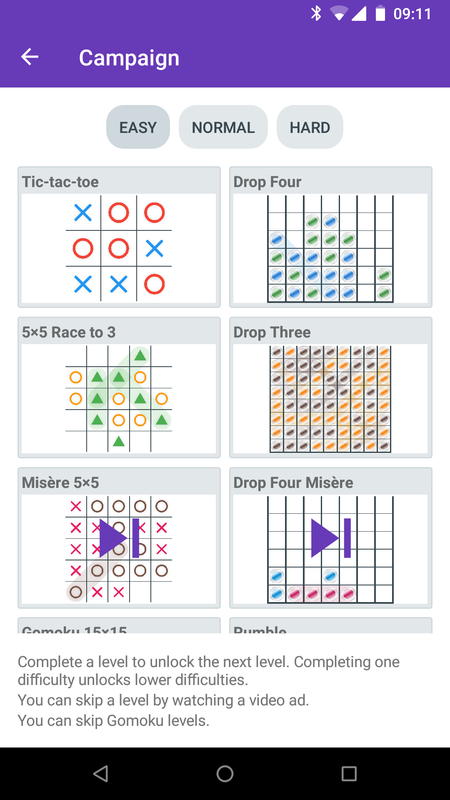 The Easy AI and Hard AI now work with Drop Four. Apparently they were previously getting confused. The game is now simulated on the game setup screen, to give an indicator of each player’s chance of winning. 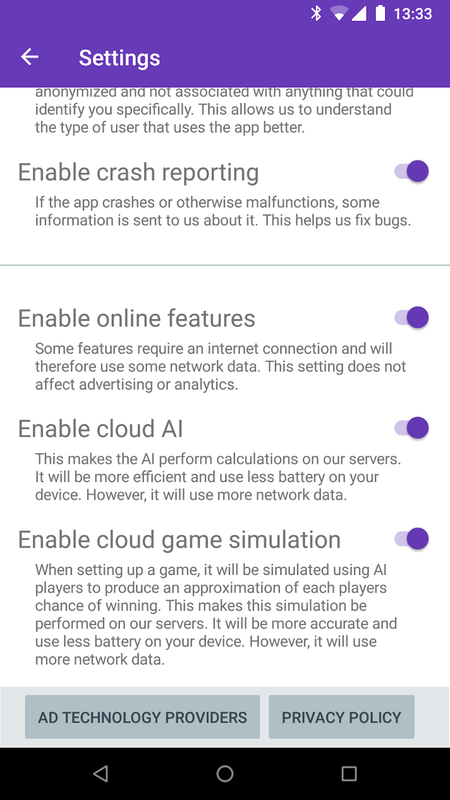 A new option in settings to control whether game simulation happens in the cloud or not. A new option in settings to control whether any cloud features are used. Improved how players’ default names are handled. Made lists of buttons wrap more nicely. 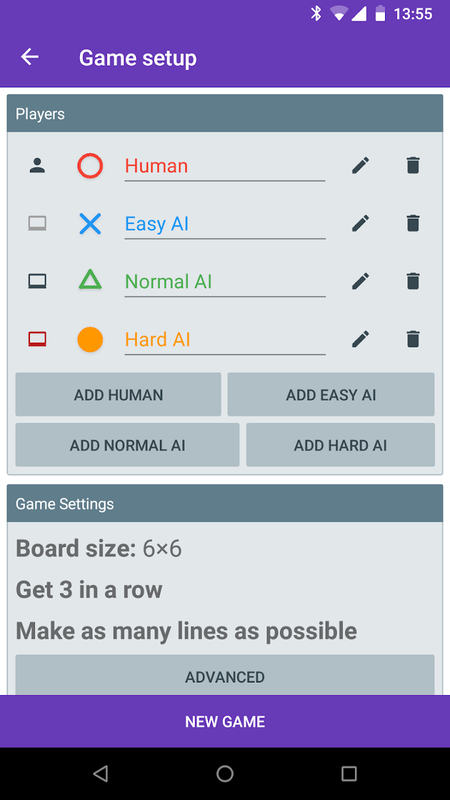 Fixed a bug which prevented the AI from realising it was playing Chain. 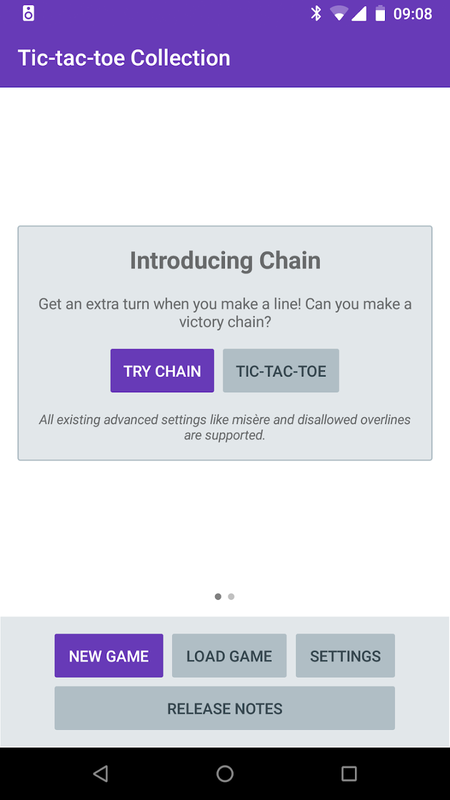 A new game variation option I decided to call “chain”. 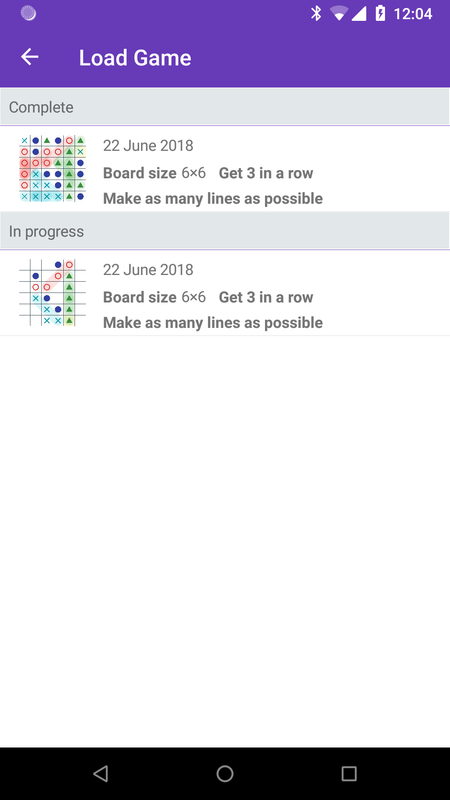 Get an extra turn after completing a line. See what the AI is thinking (when not running in the cloud). This has existed in some form for debugging, but I cleaned it up enough for the public. Fixed a bunch of layout issues on smaller devices. Fixed the very odd text of the analytics collection warning. 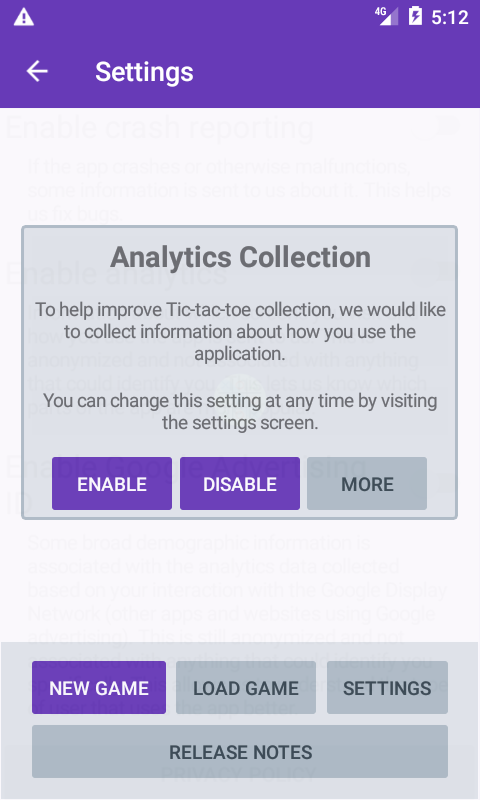 Analytics are now disabled by default and a message briefly explaining why the app would like to collect analytics is now displayed at startup.